The Early Childhood and Specialized Personnel Development Division is dedicated to improving the lives of children and their families through direct service and clinical programs, quality training, and research. We are committed to strengthening systems of care for children and families to ensure full inclusion and participation in all aspects of community life. The FIT Program is a statewide program that provides early intervention services to infants, toddlers who have or are at risk for developmental delays and families in New Mexico. Early intervention provides activities and strategies for families to use to promote their child's development throughout the day. Early intervention can make a lifetime of difference! Easter Seals El Mirador provides a comprehensive array of quality supports for individuals with developmental disabilities in community integrated environments centered on personal choice, self value, and dignity. According to information provided by the State, this demonstration provides coverage to uninsured parents of Medicaid and CHIP-eligible children with incomes from 27 percent of the FPL up to and including 200 percent of the FPL. For the title XIX component of the State Coverage Insurance section 1115 Demonstration that provides coverage to childless adults up to 200 percent of the FPL, please see the separate listing for the title XIX New Mexico State Coverage Insurance Demonstration. The Mission of the Down Syndrome Foundation of Southeastern New Mexico,is to provide support and education to all individuals with Down syndrome and their families.We do this by promoting community awareness, and providing educational information to families, educators, and medical professionals and the community about Down syndrome. 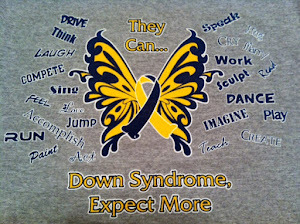 Our goal is to help individuals with Down syndrome and their families reach any goal they dream. The Rio Grande Down Syndrome Network was founded to promote friendships and information sharing among families whose lives have been touched by Down syndrome. Through networking opportunities and friendships, we proactively address issues of advocacy, accessibility and public awareness in educational, legal and political arenas. The Network seeks to promote the quality of life for individuals with Down syndrome and their families by fostering understanding, communication and a vision for the future. "Southern New Mexico Down Syndrome Families is a non-profit organization exclusively for charitable, educational and social purposes, promoting public awareness, providing support to families, and improving the quality of life and opportunities for those people touched by Down syndrome. Founded in 1955, The Arc of New Mexico’s mission is to improve the quality of life for individuals with developmental disabilities of all ages by advocating for equal opportunities and choices in where and how they learn, live, work, play and socialize. The Arc of New Mexico promotes self-determination, healthy families, effective community support systems and partnerships.